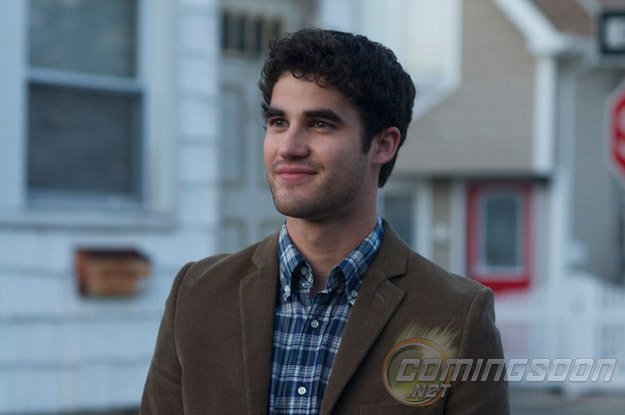 GLEE star Darren Criss will make his big screen debut in 2012 opposite Kristen Wiig, Annette Bening and Matt Dillon in the film ‘Imogene’. In the movie, a playwright (Wiig) stages a suicide in an attempt to win back her ex, only to wind up in the custody of her gambling-addict mother (Bening). Criss stars as Lee, a younger love interest to Wiig’s Imogene. According to sources, Lee moonlights as a boy bander. And based on these pics – one who isn’t afraid of a little guy-liner. Do you think Darren Criss is ready for the big screen? We certainly do (ok, probably not a shocker there). Let’s face it, this guy is certainly not afraid of tacking different forms of mediums. Criss is best know for his role of Blaine Anderson on TV’s GLEE, but Darren’s first brush with fame came as a YouTube breakout star in StarKid’s “A Very Potter Musical”. In January, Criss will make his Broadway debut taking over for Daniel Radcliffe in the lead of “How to Succeed in Business Without Really Trying”. If internet, TV, Broadway and film weren’t enough, Criss has also done voice over work for TV shows (“Archer”), video games and even Disney’s Star Tours ride. As for his music career, good luck getting tickets for one his rare solo gigs – they are quickly snatched up be the legion of his dedicated fans. Darren is one of the first of the GLEE cast to make the transition from TV to film. Will it be a smooth ride for these GLEE kids? We hope so. Co-star Lea Michele is going to give it a go in the upcoming, star-studded “New Year’s Eve”. And next year Criss’s on-screen love interest, Chris Colfer, makes his film debut in “Struck By Lightening”, a movie he wrote and co-produced.